My zucchini plants have been generous this year, and I have loved cooking with this delicious vegetable! Zucchini is one of my favorite veggies because, it’s the vegetable that just keeeeeps on giving, and it is also so versatile! We have been enjoying zucchini in bread, cookies, on the grill, fried, etc. 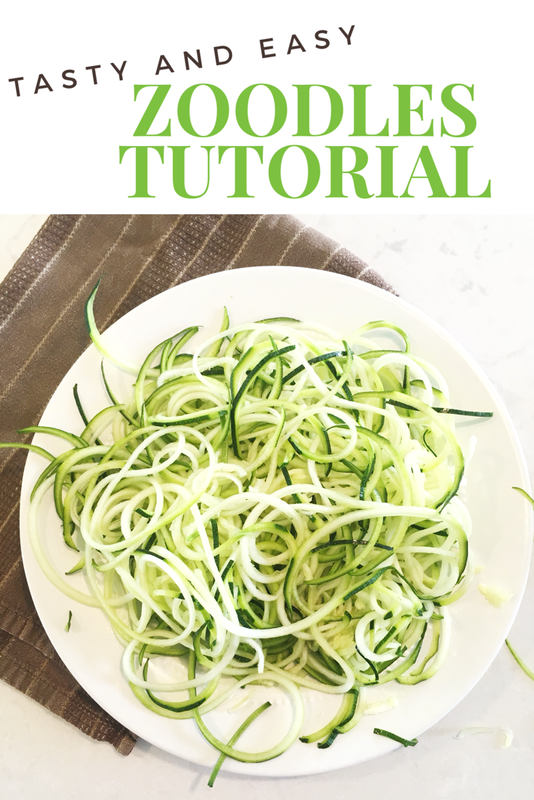 One of my very favorite ways to cook zucchini is to turn it into zoodles! 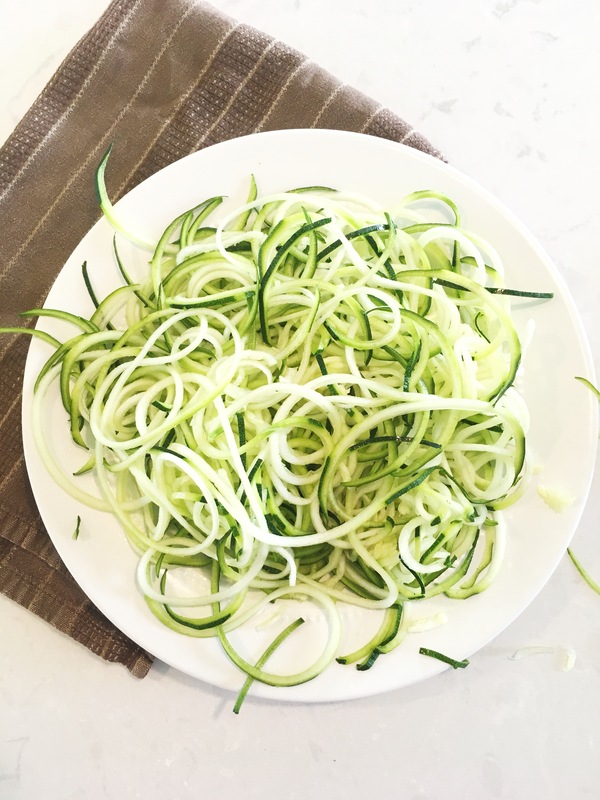 Zoodles is a great, healthier alternative to noodles. (and if you pick the zucchini from your garden….it’s also FREE!) I will usually serve it under marinara or alfredo sauce, but any of your fave pasta sauces will work great! 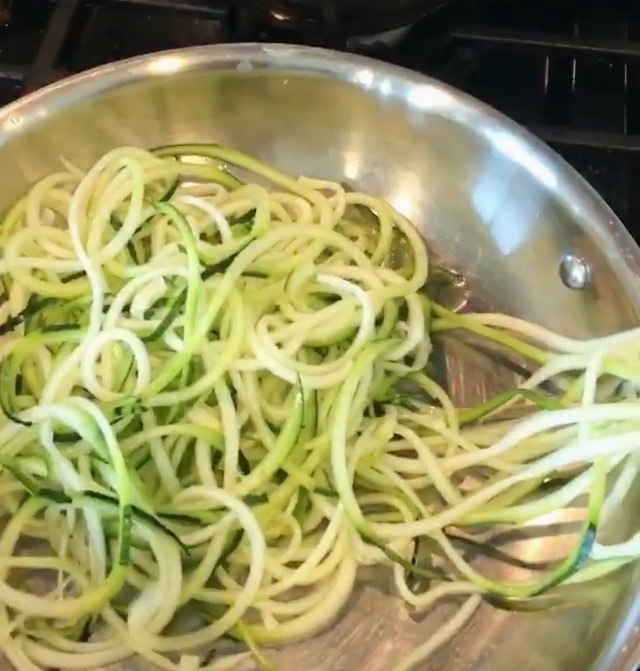 If cooked correctly, the zoodles are really not a lot different from regular noodles. They are also much more filling, with much less calories! Sometimes my kids don’t even realize what they are eating……emphasis on the sometimes. 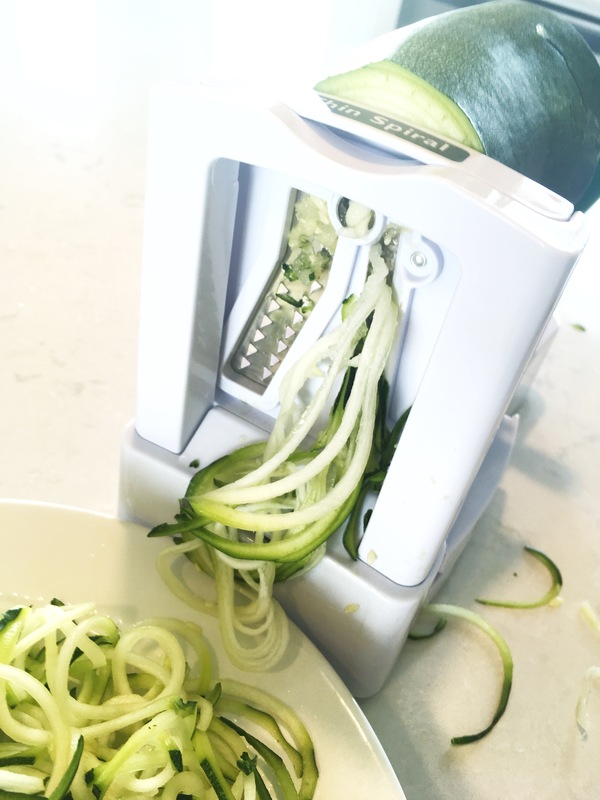 A vegetable spiralizer is my best friend when it comes to homemade zoodles. I couldn’t find the exact one that I use, but this spiralizer on Amazon is very similar in price and design. It is also only $15.99, great deal! 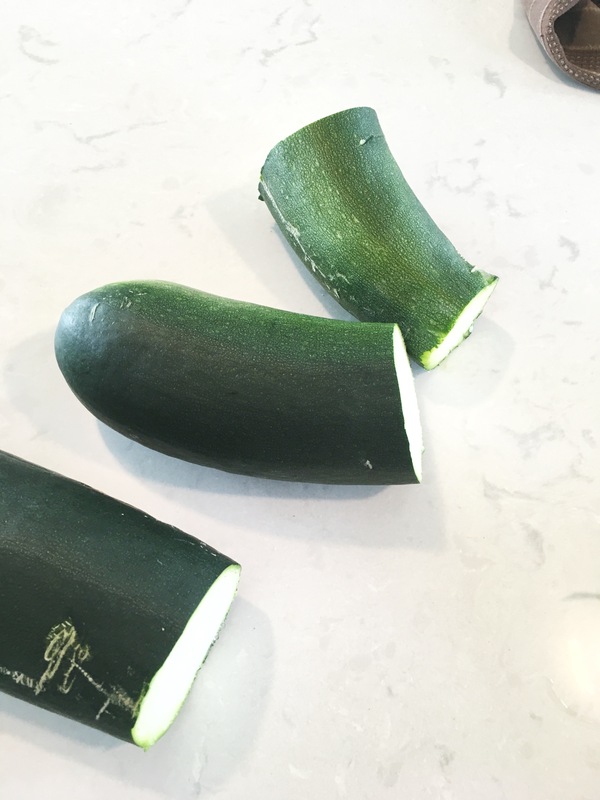 First things first, if your zucchini is long, you will want to cut it down into smaller chunks. Next, you will need to prep your vegetable spiralizer. 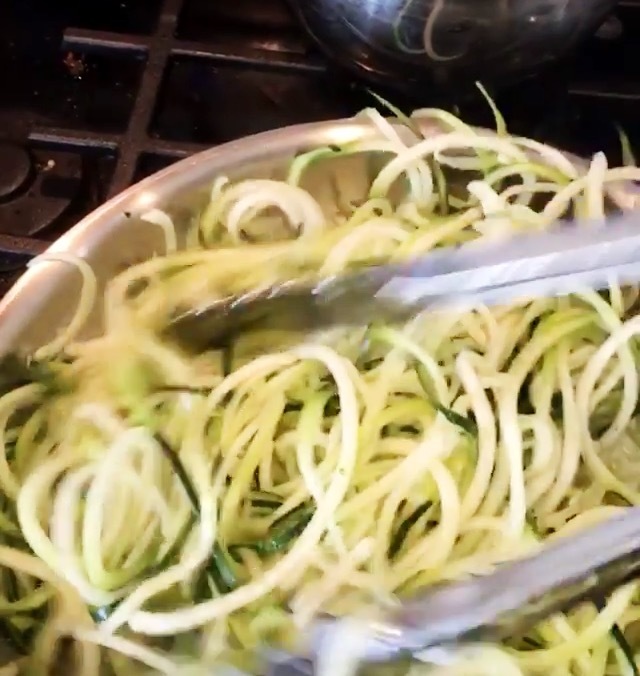 I use the Thin Spiral for my zoodles. 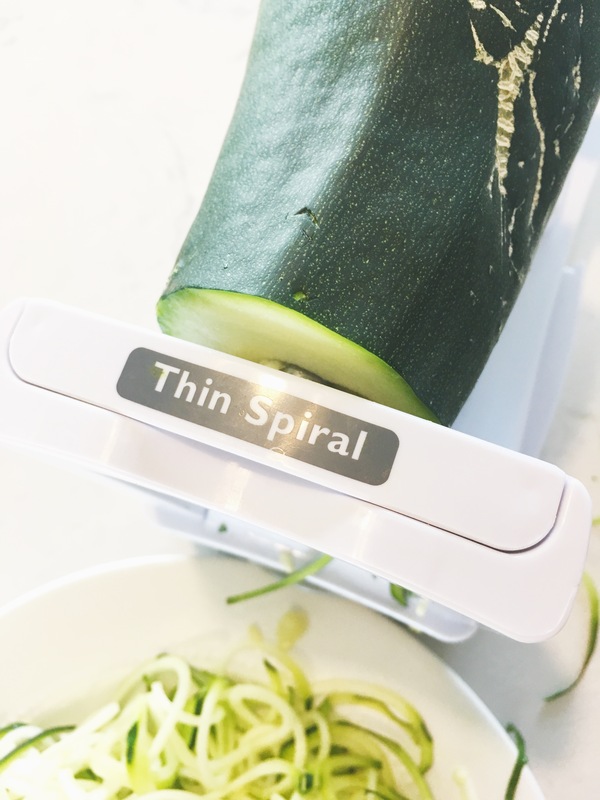 Put your thin spiral attachment in the spiralizer and then stick one of the zuchinni chunks into the middle, in between the handle and the blade. Now, all you need to do is twist! This part is so simple (and…kindof fun….really!). 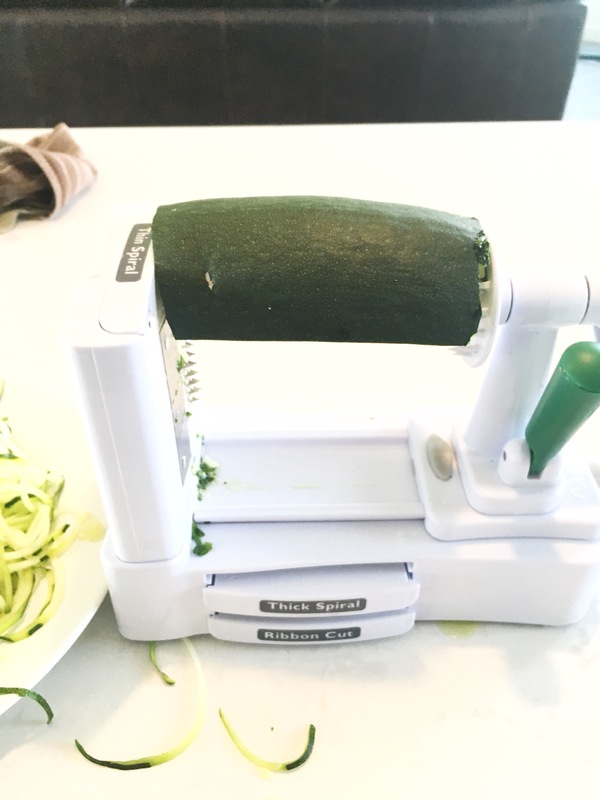 The zucchini will spiral through the blade, be sure to have a plate to catch all the spirals! 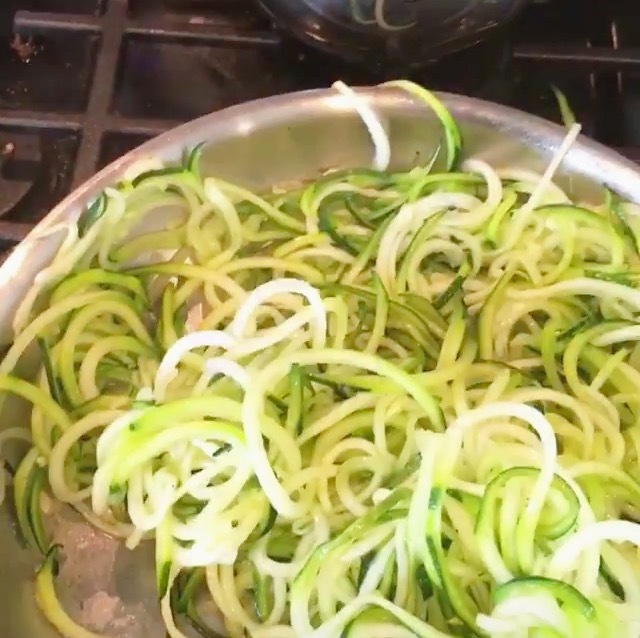 You can eat the zoodles raw or cook them over the stove. I prefer cooking them for a few minutes (don’t worry it is quick!). 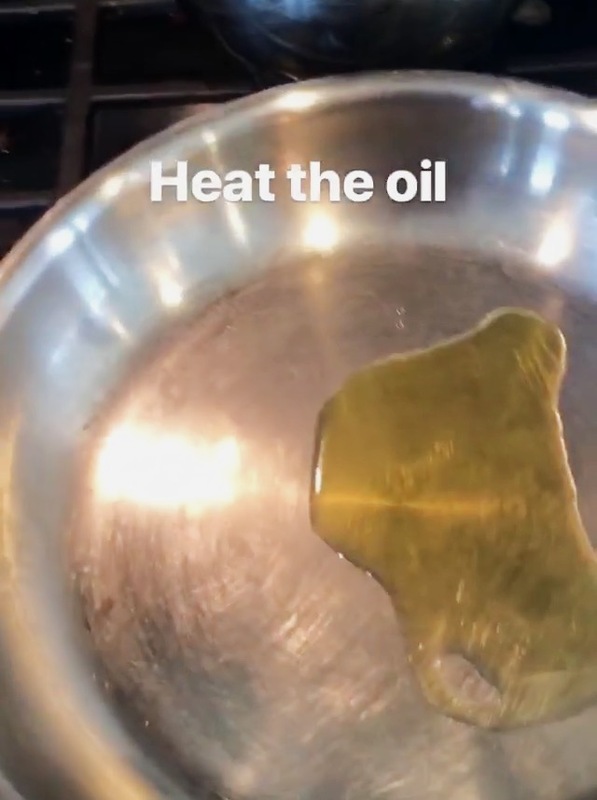 Heat up 1 or 2 tablespoons of oil in a sauce pan. Once the oil is hot, add the zoodles. Sprinkle with salt and pepper and toss in oil. Continue to gently toss the zoodles while they cook. Cook for 2-5 minutes. I like them to be soft, but also slightly firm. Serve with your favorite pasta sauce. ENJOY!!! I love zoodles. They haven’t worked out every time I have made them, even though they tasted good, so this will help me get them right every time.